HomeWhat If Jared Kushner Were Muslim And Helped Ban Israelis From America? What If Jared Kushner Were Muslim And Helped Ban Israelis From America? This candidate then wins the presidency. He selects as his chief strategist a man who tried to make a documentary titled “The Judaic States of America,” which shows a flag with the Jewish star flying above the U.S. Capitol. A week after taking office, this president signs an executive order banning Israelis from entering the United States. Seventy-one percent of American Muslims vote against this anti-Semitic president. But polling and precinct-level data suggest that within a particular wing of the American Muslim community, he enjoys strong support. As it happens, the president’s son-in-law, and close adviser, hails from that wing. In generations past, the son-in-law’s own family suffered terribly from anti-Muslim bigotry. But when the anti-Semitic president bans Israelis, his son-in-law — who enjoys a formal policymaking role — does nothing. As Jews are detained and turned away at airports across the United States, the son-in-law and his Muslim-convert wife tweet out a picture of themselves in evening wear. How would we feel? How would we want American Muslims — especially in that subcommunity that largely supported the anti-Semitic president — to respond? I ask the question because, over the past week, several writers have criticized my column challenging Modern Orthodox Jews to ask themselves how their community produced Jared Kushner. These aren’t defenses of Trump’s behavior. They’re evasions. Anyone who considers Trump’s executive order “sensible” is willfully ignorant. Since 1975, the seven nations whose citizens it temporarily bans have killed a grand total of zero Americans in terrorist attacks on U.S. soil. The number of people during that same period killed in terrorist attacks in the United States by Middle Eastern refugees? Also zero. Which is why respected national security experts from both parties insist that Trump’s executive order will do more to help the Islamic State group recruit than to keep actual terrorists out of the United States. Denying people entry into the United States merely because of the country they come from and the faith they practice (remember, Trump has offered exemptions from his seven-nation ban for Christians and Jews) is not only stupid, it’s cruel. Over the past two weeks, because of Trump’s executive order, a 5-year-old Iranian-American boy was handcuffed and detained without his mother for four hours. A 4-month-old Iranian girl with a grave heart condition was prevented from flying to Portland, Oregon, for surgery. A Somali woman and her two children were held at Dulles International Airport for 24 hours, without food. If these were not Muslims, but Jews, I doubt Mandel, Soloveichik and Weiss would be so cavalier. But they must be cavalier. Because for them, the real outrage is not what Trump has done — it is the suggestion that Kushner’s role in it should occasion any self-reflection on the part of Modern Orthodox Jews. Soloveichik calls that suggestion a “disgrace.” Weiss calls it a shande, the Yiddish word for “disgrace.” Mandel says it reflects a lack of ahavat yisrael, love for the Jewish people. The implication is that the stream of Judaism in which Kushner was raised is irrelevant to his refusal to challenge Trump’s Muslim ban. Asking Modern Orthodoxy to consider its role in Kushner’s moral failure, Weiss suggests, is like blaming the Catholic Church for the mafia. But it’s not irrelevant. The Orthodox are far more pro-Trump than other American Jews. A J Street poll in Florida last August found that while Jews overall favored Hillary Clinton by roughly 40 points, Orthodox Jews favored Trump by a similar margin. And on Election Day, as the Forward’s Josh Nathan-Kazis has noted, Trump beat Clinton handily in New York’s most Orthodox neighborhoods. That’s not conservatism. It’s bigotry. And if the bigotry were directed at Jews, I doubt Soloveichik, Mandel and Weiss would have trouble understanding the difference. It’s an unfortunate reality that, on average, Modern Orthodox Jews are substantially less troubled by anti-Muslim bigotry that their non-Orthodox counterparts are. When Trump signed his immigration order, the Reform and Conservative movements denounced it passionately. The Orthodox Union’s criticism proved far more tepid. And another major Orthodox organization, the National Council of Young Israel, didn’t criticize the order at all. As far as I’m aware, there is no polling comparing Orthodox and non-Orthodox views on Trump’s Muslim ban. But in 2013, the Pew Research Center did ask Jews whether American Muslims face “a lot” of discrimination. At my request, Pew broke down the answers by religious stream. The center found that Orthodox Jews were 38 points less likely than their non-Orthodox counterparts to agree. So Kushner is not an outlier. He’s symptomatic of a larger communal problem. And it’s not anti-Semitic to say so. If a Muslim at the highest levels of government were complicit in banning Israeli Jews from entering the United States, and polling suggested that the members of his particular stream of Islam had supported a blatantly anti-Semitic candidate for president, would Mandel, Soloveichik and Weiss really think it illegitimate for a fellow Muslim to suggest that some soul-searching might be in order? Of course not. Jews are quite willing to ask Muslims to challenge the bigotry in their midst. We should ask no less of ourselves. 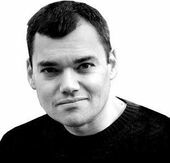 This story "Questioning The Motives Of Jared Kushner…" was written by Peter Beinart.